According to the South China Morning Post, international fraudsters used Hong Kong bank accounts to steal almost HK$1.5 billion in commercial email scams in 2016. This included a single transaction of HK$500 million, stolen from a foreign bank (see International email scams involving Hong Kong hit HK$1.5 billion for the year so far, South China Morning Post, 12 December 2016). So far this year, email and phone scams have cost over HK$580 million (see Dedicated Hong Kong police unit set up to handle phone scams, South China Morning Post, 21 July 2017). Sale contract scam: fraudsters know from stolen emails about transactions between company A (the seller) and company B (the buyer). The fraudsters, pretending to be company A, send fictitious emails to company B, claiming that company A’s bank account has changed and requesting transfer of funds to the new bank account in Hong Kong. CEO scam: pretending to be senior management officers of victim companies, fraudsters send fictitious emails to staff in the finance department, seeking the transfer of funds to overseas business partners or to make business investments on an urgent basis. The finance department staff are requested to transfer funds to a bank account in Hong Kong. Hong Kong solicitors may be contacted by foreign companies, wishing to take action to recover stolen funds which have been transferred to Hong Kong bank accounts. This article discusses strategies solicitors can employ to (i) prevent onward transfer of funds, (ii) obtain information concerning the location of funds, and (iii) make recoveries for clients. Solicitors for the foreign company should consider reporting the email scam to the Hong Kong Police immediately on discovering the fraud. 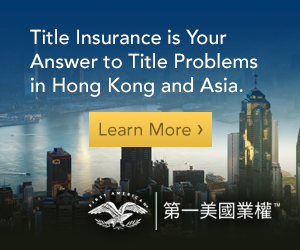 This may lead to the Joint Financial Intelligence Unit (“JFIU”) issuing a “no consent” letter to the relevant bank, which informs the bank that the JFIU does not consent to dealings in the Hong Kong account which received the funds (s. 25A(2)(a), Organized and Serious Crimes Ordinance (Cap. 455)). However, the “no consent” letter does not operate at law as a freeze of the Hong Kong account or protect the foreign company’s interest in the funds contained in the account. It remains for the relevant bank to decide whether to honour the instructions of their customers despite receipt of the “no consent” letter (Interush Ltd v Commissioner of Police  4 HKLRD 706, paras. 50–52) (although, in practical terms, the bank will invariably comply with its obligations under anti-money laundering legislation). However, solicitors should not rely on the Hong Kong Police to make a recovery on their client’s behalf. Solicitors should advise foreign companies to consider taking urgent action in the Hong Kong Courts to prevent dealings in the Hong Kong account and seek recovery of its funds. The foreign company, as plaintiff, can apply on an ex parte basis for both a proprietary and Mareva injunction. By contrast, a Mareva injunction is designed to protect the plaintiff against the dissipation of the defendant’s assets against which it might otherwise execute judgment. A Mareva injunction does not depend on the plaintiff having a proprietary claim against the assets which are to be controlled. It has been said that a proprietary injunction is a “better relief” than a Mareva injunction if the property has not been dissipated. Where there is a risk that such dissipation has occurred, it is prudent to also apply for a Mareva injunction as “top up” protection (Falcon Private Bank Ltd v Borry Bernard Edouard Charles Ltd  HKEC 953, para. 78). The threshold for obtaining a proprietary injunction is lower. In an application for a proprietary injunction, the court will readily find that the balance of convenience favours the preservation of the fund pending trial. Further, it is not necessary to demonstrate a real risk of unjustifiable dissipation of assets, as is required for a Mareva injunction. Finally, the plaintiff only needs to show a serious issue to be tried on the merits (see Pacific Rainbow International Inc v Shenzhen Wolverine Tech Ltd  HKEC 869, paras. 37–39). With respect to the funds which are subject to a proprietary injunction (and which are allegedly held on constructive trust), the defendant is not ordinarily entitled to use the funds for its legal costs or ordinary business expenses (Wharf Ltd v Lau Yuen How  1 HKLRD 783). By contrast, such an exception for the use of the defendant’s assets is incorporated into the standard form of Mareva injunction in Hong Kong. The plaintiff may obtain disclosure orders against the defendant which assist in determining where the plaintiff’s funds have been transferred. The standard form of Mareva injunction allows for the Court to order that the defendant disclose its assets, giving the value, location and details of all such assets (Practice Direction 11.2). However, in Pacific King Shipping Holdings Pte Ltd v Huang Ziqiang  1 HKLRD 830, para. 30–32, the Court of Appeal held that in relation to a Mareva injunction which does not involve a proprietary claim, the Court usually will not order further disclosure relating to the transfer or dissipation of the defendant’s assets. An exception exists where there is evidence that the defendant has breached the injunction. With respect to a proprietary injunction, where the plaintiff seeks to trace property which in equity belongs to him, the Court may order that the defendant disclose the whereabouts of the property. In addition, the Court may order that a third party bank give discovery of documents with respect to a defendant’s bank account, which was allegedly used for the fraud (see Pacific King Shipping Holdings Pte Ltd, para. 29). Under s. 21 Evidence Ordinance (Cap. 8), the Court may order that the plaintiff is entitled to inspect and take copies of entries in a banker’s record (including bank statements). Such an order can be made at an early interlocutory stage of the proceedings, including at the ex parte hearing (see CTO (HK) Ltd v Li Man Chiu  2 HKLRD 875, para. 7–12; for an example of a disclosure order made in an ex parte application, see Golden Brothers Inc v Medicare Asia Ltd  HKEC 2246). The advantage of such a disclosure order against a third-party bank is that it allows the plaintiff to quickly learn where its funds have been transferred. If the plaintiff’s solicitors discover that the defendant has itself transferred funds onwards (to a “second layer” recipient), then they will need to advise their client whether to apply for a proprietary injunction and a Mareva injunction against the second layer recipient. If the funds received by the second layer recipient were the proceeds of an apparent fraud, the plaintiff will be entitled to make a proprietary claim in equity to the funds in the hands of the second layer recipient, subject to a defence of bona fide purchaser or recipient for value without notice (Pacific Rainbow International Inc, at para. 64; Arrow ECS Norway AS v Xin Cheng Holdings (International) Co Ltd  HKEC 1063, para. 13). Further, the plaintiff may obtain disclosure orders with respect to the second layer recipient’s dealings with the funds (including whether the funds have been further transferred to “third layer” recipients). A potential difficulty is that the plaintiff’s solicitors have no knowledge of the transaction between the defendant and the second layer recipient, including whether there is any business relationship between them. 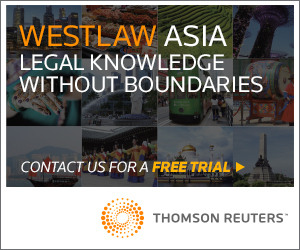 In various recent Hong Kong cases, second layer recipients have sought to discharge injunctions on the basis that they entered into legitimate transactions with the defendant. For example, it has been argued by second layer recipients that they received funds from the defendant in transactions for the sale of shoes, electronic goods or frozen meat, and in the “grey market” exchange of RMB for Hong Kong dollars or United States dollars. In certain cases, the second or third layer recipient’s explanation was sufficient to discharge the injunction (eg, Arrow ECS Norway AS; Limited Liability Company Umitoys v Nice Fame Trading Ltd  HKEC 1295, where a first layer recipient discharged the Mareva injunction). In other cases the evidence of the transaction was considered inadequate (eg, Pacific Rainbow International Inc). “I accept that by itself the mere fact that a payment to a bank account came from an unrelated source may not necessarily be sufficient to raise a suspicion of dishonesty. But if viewed in its whole context, that fact raises a suspicion of dishonesty, it is not necessary for the court, at the Mareva stage, to require a plaintiff to show ‘guilt’ on the part of the recipient of the fund. Each case will turn on its own facts regarding whether the second layer recipient received the funds for value without notice. The Court will be required to assess whether there is credible evidence of the relevant transaction, having regard to the transaction documents, business history, contemporaneous exchanges, and the timing and amount of the fund transfer. 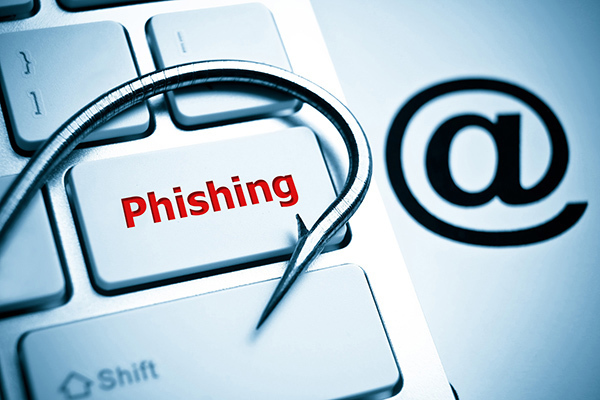 Once solicitors are instructed by a foreign company with respect to an email scam, they should act quickly to prevent the onward transfer of funds. The Hong Kong Courts have been willing to grant proprietary and Mareva injunctions (together with ancillary disclosure orders) on an urgent basis, in order to assist the foreign companies to protect their assets. However, the more time that passes, the greater the likelihood that funds will be transferred to second layer and third layer recipients, or leave Hong Kong entirely. This may complicate the process of making recoveries from the wrongdoers. Nick Luxton is a barrister at Gilt Chambers, practising in commercial law, insurance and maritime law. 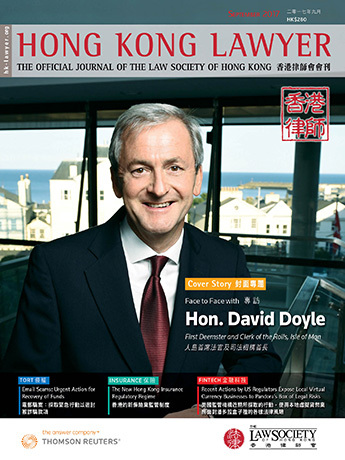 Mr. Luxton was called to the Bar after almost 15 years’ experience as a solicitor handling commercial disputes in Australia and Hong Kong. 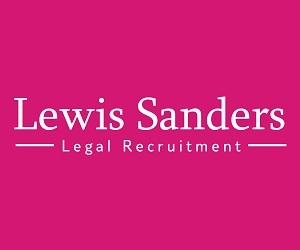 He has experience in fraud matters, insolvency disputes, contract claims, employment law and banking law, together with related injunction applications. He regularly appears in admiralty actions in the Hong Kong High Court and in maritime arbitrations.